Alberta prices pollution. Is the glass half full or half empty? The Alberta government announced an important new plan to price pollution in its province this week. What are the strengths and weaknesses of this announcement? That's the question explored by Paul Boothe in the following commentary that he prepared for the Ecofiscal Commission and Macleans Magazine. Boothe is a member of the Ecofiscal Commission, and a Professor at Western’s Ivey Business School. Generation Squeeze looks to the Ecofiscal Commission for guidance about policy adaptations that can esnure Canadians leave at least as much as we inherited as a central theme in our vision for a Better Generational Deal. The environmentalists I encountered as the deputy minister at Environment Canada usually fell into one of two groups. The ‘glass half full’ crowd was pretty small. While they acknowledged the many environmental challenges we face, they were willing to celebrate Canadian policy changes that resulted in genuine progress. The second group, the ‘glass half empty’ crowd, was much larger. They focused on how much remained to be done and were never really happy, even when Canada made leaps forward. The same pattern holds true of Alberta’s announcement of its greenhouse gas plan on Sunday. There is a lot in it to celebrate and some real concerns that remain. Whether you join the ‘half full’ or ‘half empty’ team is a personal choice, but here some things to consider before you choose. Probably the most important aspect of the announcement is that after a very long absence, Alberta is back in the game fighting climate change. Whether you think what was announced was enough is immaterial. The change in policy direction in Alberta is long overdue, critical to our national efforts and welcome news for everyone concerned about climate change. Premier Rachel Notley and her government deserve our thanks and congratulations. A second important aspect of the announcement is that Alberta will use an economic instrument, a hybrid form of a carbon tax, as its main policy lever. This adds Alberta to the list of BC, Ontario and Quebec who are using some form of carbon pricing to combat climate change. It also means that over 85 percent of the Canadian population will live in a jurisdiction that prices carbon, showing Canadian leadership to North America and the world. However, three implications of the plan are worrisome. The first is that the policy as currently outlined makes it virtually impossible for Canada to achieve its 2030 target. The commitment made by the previous federal government and described by the new government as a ‘floor’, requires us to cut our emissions by about 200 million tonnes from current levels by 2030. Alberta is responsible for more than a third of Canadian emissions. A plan that continues to grow emissions for five more years before stabilizing them means we will probably miss our target by about 100 million tonnes, even with the efforts of other provinces. The second implication of the plan is that emissions from the oil sands will be allowed to grow by a staggering 43 percent above current levels before reaching the proposed cap. 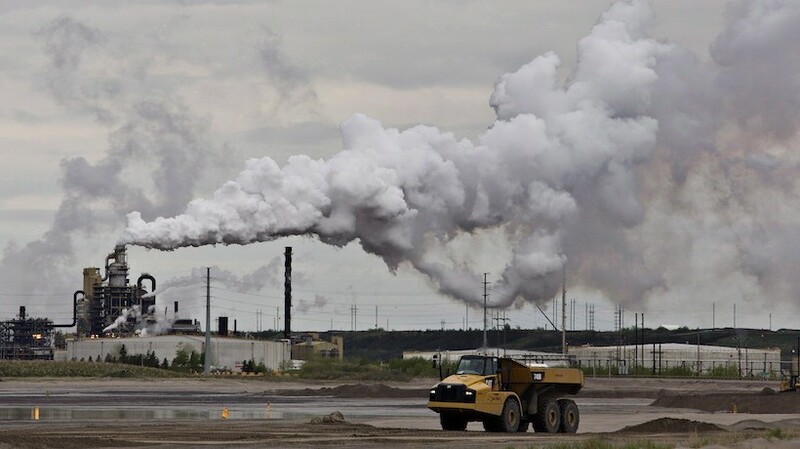 This generous cap, together with the new subsidy the government is proposing to pay large emitters, means many oil sands producers will feel little in terms of effects from the carbon tax. This is one way to address Alberta’s competitiveness concerns, but it may not be the best or the only way. The third implication is the slow future growth of the price of carbon. To achieve our target, Canada will need carbon prices to grow to $120 per tonne or more by 2030. Yet post-2018, when Alberta’s carbon tax will reach $30 dollars per tonne, the tax appears to be designed to grow very slowly, only reaching about $50 per tonne by 2030. It seems that the Premier has left the door open for a faster ramp up if other jurisdictions take the lead, but that point is not yet clear. Half full or half empty? That is for you to decide. Personally, I’m a glass half full kind of guy. I congratulate Premier Notley and her government for this important change in the direction of Alberta’s climate policy. It’s a great beginning. But I recognize that it is only a first step. We will all need to do a lot more to fulfill Canada’s obligations in the fight against climate change. Paul Boothe is a Professor at Western’s Ivey Business School and a member of the Ecofiscal Commission. He served as Deputy Minister of Environment Canada from 2010 to 2012.